Turning the tides in every match are the OW Support Heroes! Mercy, Symmetra, Ana, Zenyatta and Lucio are ready to follow you to the bitter end of any battle. Soundwaves and teleporters and resurrects, oh my! 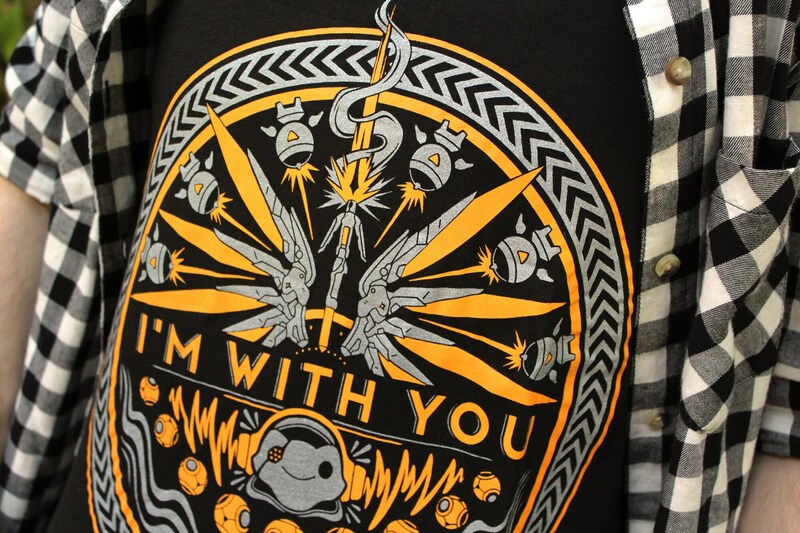 Support your Supports with this lovely orange and metallic silver design, and show your love for OW at the same time. Unicorn Empire tanks are printed by hand in small batches using traditional screen printing techniques. We use only high-quality water-based inks, making our shirts uniquely soft and durable. 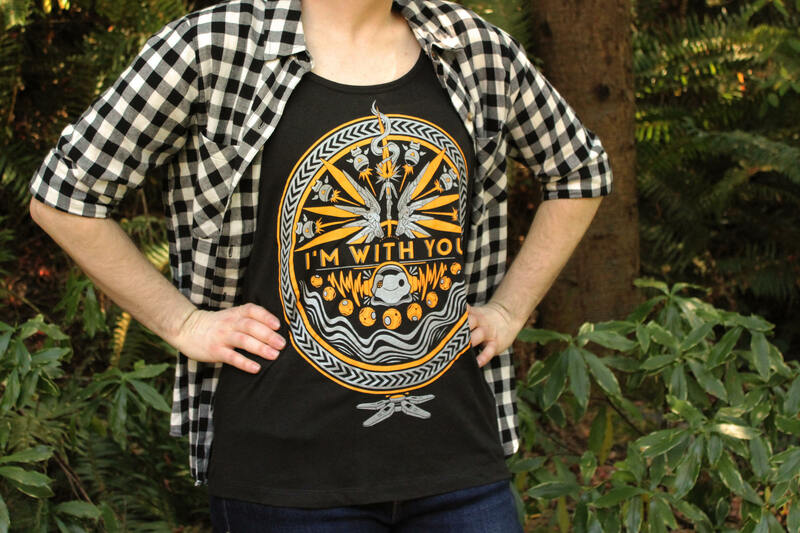 Our tank tops are light-weight, made of an ultra-soft cotton/modal blend and available in a range of sizes. 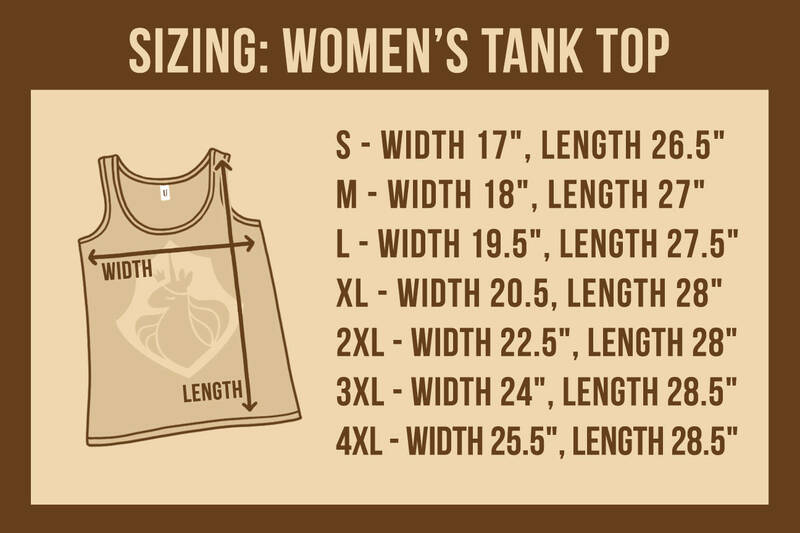 A size chart and measuring guide is available below. Wonderful tank top!! Possibly got it a size too big but only because I was wary about the fit, which was nothing to worry about! The fabric is soft and stretches easily, the design and colors are fantastic in person. Will definitely come back to the shop! 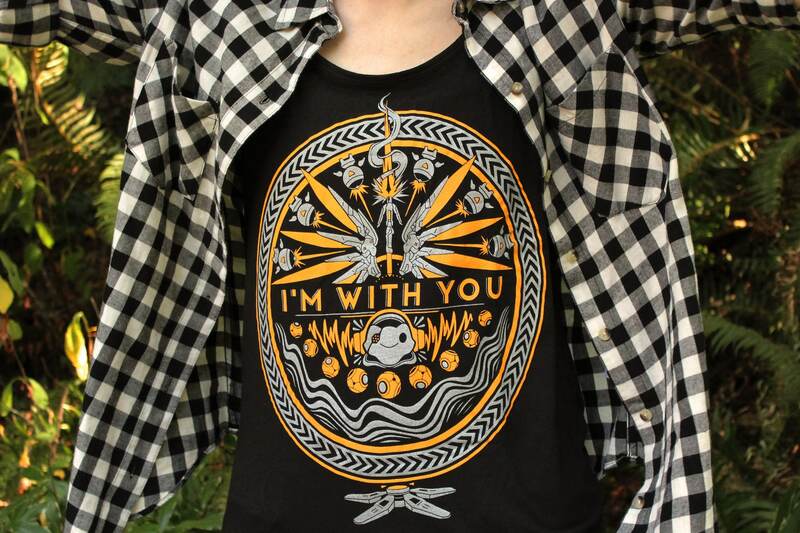 I waited a bit too long to order one of these (I've been watching it for a while) and didn't realize it was discontinuing so I went ahead and ordered a 3XL (only two left available were 3XL & 4XL). It's pretty loose on me since I am normally L/XL but I love this design so much! 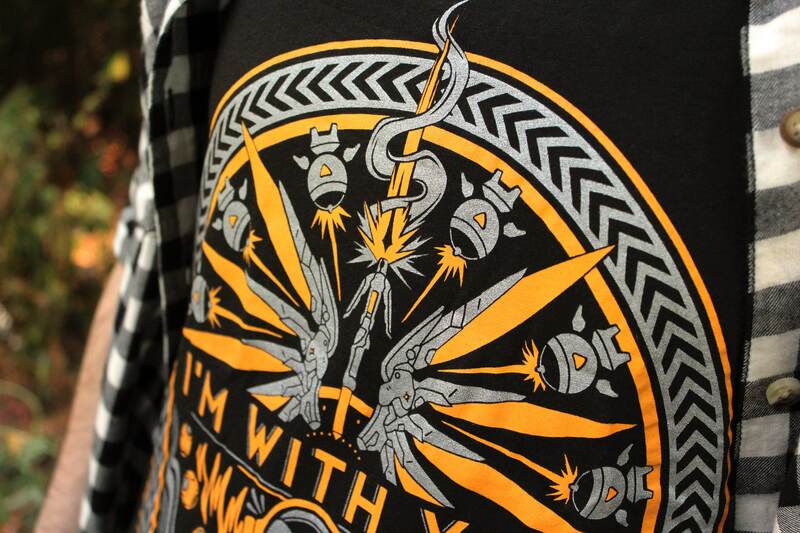 The yellow/gold color on it is actually a neon orange IRL and it looks super nice. It's one of my favorite tank tops now! My daughter-in-law loved her t-shirt. Love being able to get unique designs from Unicorn Empire Prints!